Sometimes we are asked to help better explain how different exhibits in the Museum work. Recently the exhibit piece in question was Wooden Mirror by Daniel Rozin, located in a nook between our Garage exhibit and the Changing Exhibits Gallery. This interactive art piece is a lot of fun – it’s made up of a lot of different parts that work together to create an image of whatever is in front of it. We probably could have just made a sign that explains to visitors how the piece works, but that would be no fun. Instead we set out to create a couple of devices to help people better explore what is happening behind the scenes of this piece. There is a camera located in the center of the “mirror” – this allows it to see whoever is standing in front of it. This camera then converts the image to black and white and pixelates the image into a grid of squares. 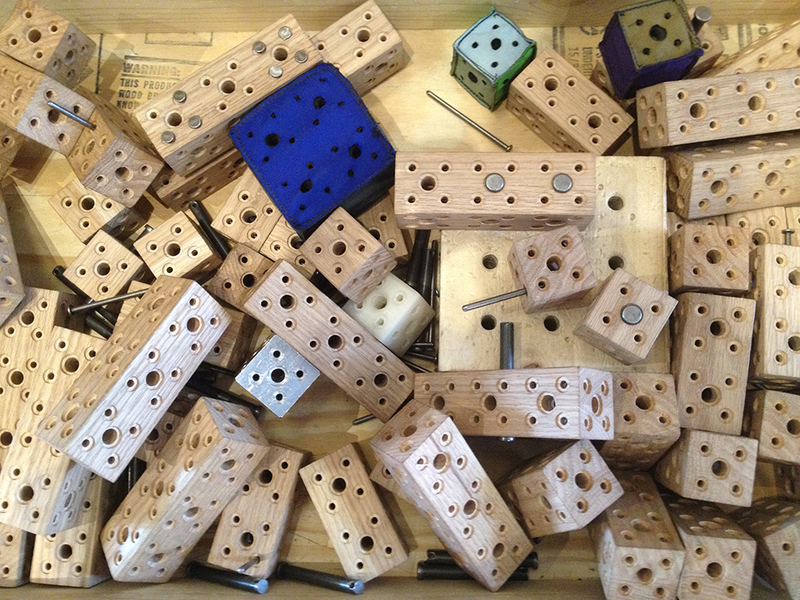 Each of these squares corresponds to one wooden square in the “mirror.” Many small motors allow each wooden square to tilt up or down depending on the color the camera sees. If the camera sees black then that wooden square tilts down, etc. 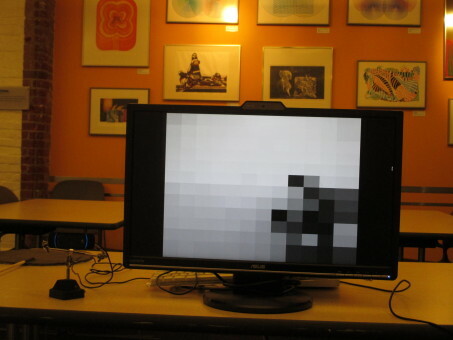 The exhibits team helped create a simple computer program that allows you to play around with the concept of pixels. 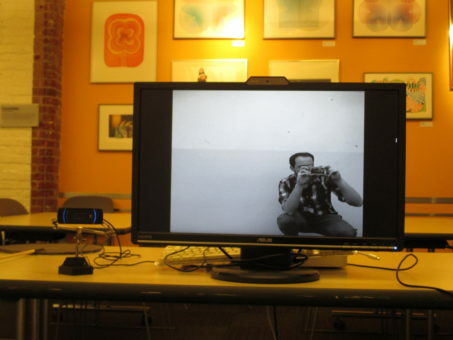 You sit in front of a camera and your image is displayed in black and white on a computer monitor. 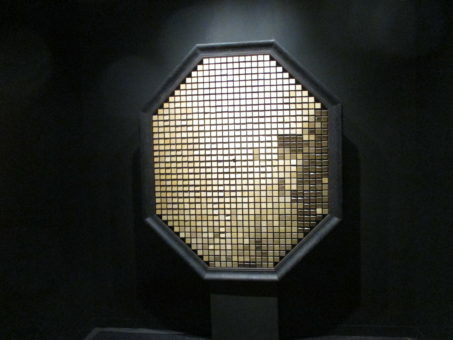 A small dial hooked up to the computer allows you to slowly distort the image until it is just made up of dark and light squares. 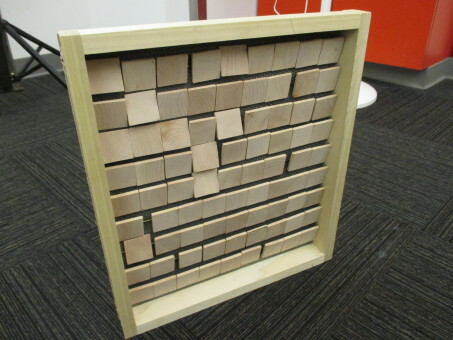 As you play around with this device you start to make a connection between what Wooden Mirror sees and how that coincides with the grid of wooden squares. 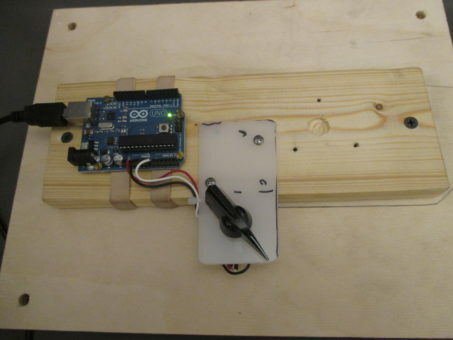 The team worked on several other prototypes that could help someone better understand what is going on with the Wooden Mirror. 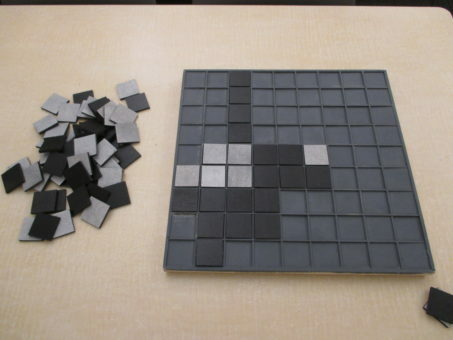 They mainly centered around the ideas of pixels and color (black, white and gray). Another piece allowed you to play around with the wooden pieces from the “mirror” to get a better sense of how they move and how they are affected by the light and shadows in the space. I look forward to working on more projects like this one. I think it’s really fun to find out how something works. At museums the technology of how the exhibits work is usually hidden or out of sight. This kind of technology would be impossible to convey in a simple written sign, so a visitor may come up with their own theories about how things work.